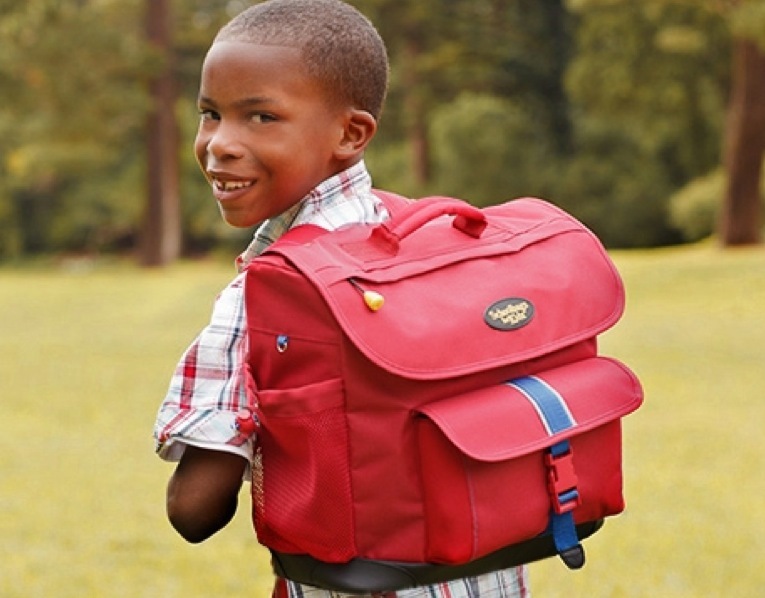 The backpacks are a great option if you want a style that will grow with your child. They include features such as padded, adjustable shoulder straps, a horizontal design that makes books and other supplies accessible, an interior padded computer sleeve for protecting a laptop, and oodles of pockets for easier organization (5 exterior and 3 interior pockets, as well as an ID holder). The clean design of the backpacks is complemented by their vivid colors and bright accents. Unsurprisingly, lot of thought went into the design of the donated backpacks that go to children in Belize, Thailand, and India-unsurprisingly as well. They’re made with the same durable, water-resistant polyester as the signature styles, but come in bright yellow: perfect for keeping the kids visible and safe during the long, roadside walks that most of the children must make in order to go to school every day. Which might be a useful little fact to mention if your own kid is dragging his or her feet about starting a new school year. 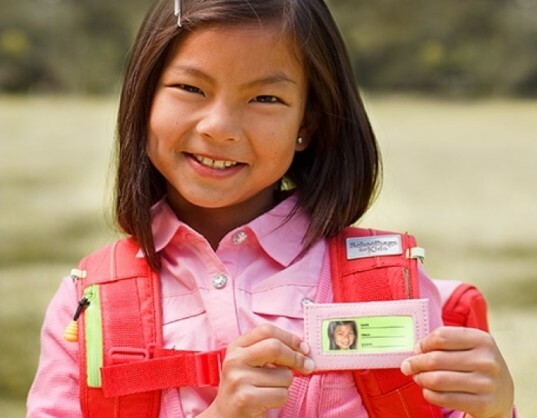 Unsurprisingly, lot of thought went into the design of the donated backpacks that go to children in Belize, Thailand, and India-unsurprisingly as well. They're made with the same durable, water-resistant polyester as the signature styles, but come in bright yellow: perfect for keeping the kids visible and safe during the long, roadside walks that most of the children must make in order to go to school every day. Which might be a useful little fact to mention if your own kid is dragging his or her feet about starting a new school year. Schoolbags for Kids bags have lots of fun pockets and pouches to store everything your kid needs for class including a water bottle sleeve. The backpacks come in 6 colors.